Presently, Malaysia has about 7.5 million Accountants. The country requires another 60,000 Accountants to fulfill Vision 2020. The Financial sector stands as one of the largest sectors in Malaysia with more than 300,000 people employed. This sector is made up by professionals in the Accounting, Banking, Economics, Finance, Insurance and Statistics and Taxation sub-sectors. An important industry for the country, it contributes up to 11 percent of the nation’s Gross Domestic Product (GDP). The role of the financial sector is envisioned to continue growing to be a key driver and catalyst of Malaysia’s economic progression. A career in Accounting can give you high salaries if you are equipped with the necessary knowledge and skills. 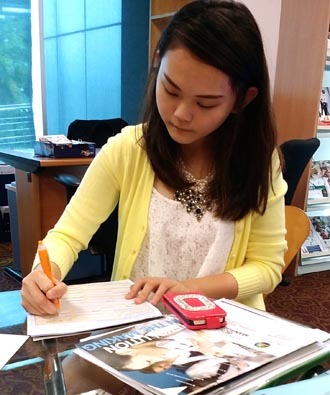 Therefore, you should choose a reputable top university in Malaysia to study the Accounting & Finance degree. With so many universities and colleges in Malaysia offering the accounting degree course, students after SPM, O-Levels, UEC, A-Levels or STPM need to choose the best university that would equip them with the necessary knowledge and skills to succeed in the competitive workforce. 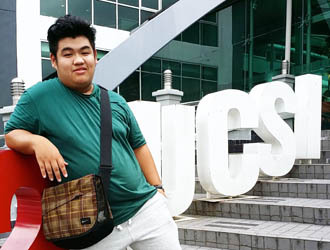 Part of finding the right college or university in Malaysia for you will be picking out the criteria that matters to most to you, and then seeing if any of the top private colleges or universities in Malaysia that you’re looking at fit those criteria. Choosing a university to study in Malaysia is one of the most important decisions you will make in your life. Your decision will be influenced by many criteria such as the reputation & ranking of the university, accreditation of its courses, the suitability of the course against your academic results and career goals, tuition fees, quality of lecturers, facilities, friends & family, and more. Furthermore many of the top private universities in Malaysia offer similar Accounting & Finance courses therefore making your decision a challenging one! To help you develop a good list of criteria, you need to talk to the right counselors or education consultant who are knowledgeable and experienced. Choosing the best university or college that fits you for the accounting and finance course, you should look at the course content to see if it meets your career goals, ranking of the partner university if you want to work overseas, an English-speaking environment, campus facilities, lecturers’ experience, reputation of the university, student culture at the university, location, fees and internships. If you want to work for the Big 4 Accounting Firms – KPMG, Deloitte Touche Tohmatsu, PricewaterhouseCoopers and Ernst & Young, you will need to achieve great results and be able to communicate well in the English language. Other top accounting firms in Malaysia that you can work for are BDO, Grant Thornton, Baker Tilly MonteiroHeng, DFK International and Halim & Lee. There are many jobs out there for accounting & finance graduates but there is much competition because many students are taking this course. Therefore, students must choose the best university for the accounting & finance course so that you can gain the edge when they go out to look for work. With so many universities and colleges in Malaysia offering the accounting degree course, students after SPM, O-Levels, UEC, A-Levels or STPM need to choose the best university that would equip them with the necessary knowledge and skills to succeed in the competitive workforce. Students interested in taking the accounting degree at top private universities in Malaysia can consider the list below. 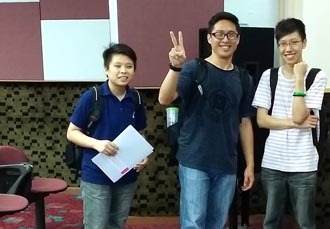 Each private university has its own strengths and uniqueness that would fit you and equip you to be successful in your future career as an accountant in Malaysia. In order to succeed in the competitive field of accounting & finance, students must choose the best universities in Malaysia to study. The best university doesn’t necessarily mean the most expensive. Students should choose the right university that fits them which has a good reputation for business programs, excellent facilities, top lecturers and an English-speaking student environment. After SPM or O-Levels, with 5 credits including Maths, students can enter into the Foundation in Business Administration or Foundation in Arts for a year and then continue into the degree for 3 years. The other way is to go for the Diploma in Business Administration or Diploma in Accounting for 2 years and then enter into the Degree in Year 2 to finish that in another 2 years. You will need at least 3 credits in your SPM to join the diploma. After your degree, you can find a job and then take the final papers of the ACCA part time. Top ranked universities in Malaysia for Accounting degree programmes with ACCA exemptions are Curtin University Sarawak, Asia Pacific University, KDU University College Utropolis Glenmarie, UCSI University, MAHSA University, HELP University , KDU Penang University College and Sunway University. Premier private universities for Accounting degree programmes with ACCA exemptions are Curtin University Sarawak, KDU University College Utropolis Glenmarie, KDU Penang University College, HELP University and UCSI University. 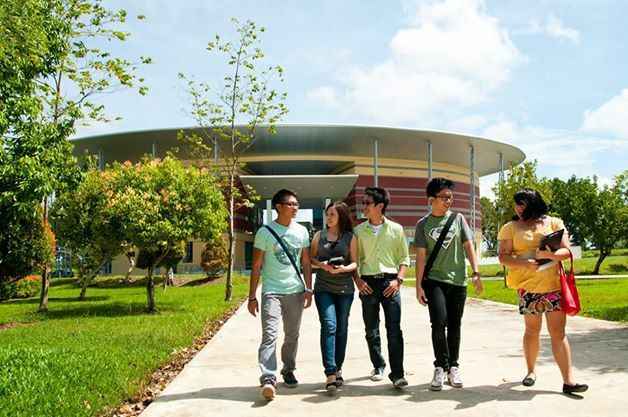 An excellent private university for the Accounting & Banking dual major is Curtin University Sarawak. While some agents were pushing me to go for universities, EduSpiral took time to share information and take me and my friends for campus tours to help us make a better decision. 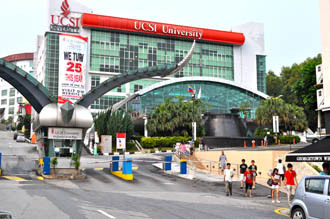 UCSI University is a Top ranked private university in Malaysia that uniquely offers the BSc (Hons) Actuarial Science and Finance degree programme. Malaysia’s outstanding private universities for students after SPM or O-Levels to study the Diploma in Business Administration are Taylor’s University, UCSI University, Asia Pacific University, MAHSA University, HELP University, KDU University College Utropolis Glenmarie, KDU University College Penang and First City University College. Best private university in Malaysia to study the Diploma in Finance is Asia Pacific University (APU). Outstanding private universities in Malaysia for the Foundation in Business programmes are Heriot-Watt University Malaysia, Taylor’s University, Asia Pacific University, Curtin University Sarawak, UCSI University, MAHSA University, First City University College, Berjaya University College of Hospitality and Nilai University. Presently, Malaysia has about 7.5 million Accountants. The country requires another 60,000 Accountants to fulfill Vision 2020. All Accountants have to abide by a strict code of ethics and maintain high professional standards. All practising accountants must register with the Malaysian Institute of Accountants (MIA). The Accountant Act, 1967 recognises an Accountant as one who is a member of MIA. MIA members can either be registered as Registered Accountants, RA(M) or Public Accountants, PA(M). Generally, an Accounting degree from a private university in Malaysia can gain exemptions until the final 5 papers of the ACCA. A maximum of nine papers at the Fundamentals level of the ACCA Qualification can be awarded. A maximum of nine papers at the Fundamentals level of the ACCA Qualification can be awarded. To preserve the integrity and rigour of the ACCA Qualification and to ensure that all students share a common experience, ACCA does not award any exemptions at the Professional level. Should you have a relevant degree from an ACCA-accredited institution in Malaysia, you may be granted exemptions of up to all 9 Papers at the Fundamentals Level. No exemptions are awarded at the Professional Level. Upon completion of the BA (Hons) Accounting & Finance degree, students are exempted from the Foundation Level and they can proceed with the Professional pathway (6 subjects). Upon completion of the BA (Hons) Accounting & Finance with 3 years relevant working experience plus completion of Professional qualification (ACCA or CPA), students are eligible to apply for membership of the MIA. However, as we all know, the standard of English in Malaysia has dropped a lot. Some students thinking of going for accounting go into CAT and then the ACCA not realising that both are external papers and marked by the UK examiners. Therefore, although these students may be capable in their knowledge but their weakness in the English language to write properly during the exams will lead them to fail these papers. Furthermore, the final 5 papers of the ACCA are not easy and if you attempt these papers while you are too young, can be challenging. I would suggest that students go into an accounting degree programme first where the degree is exempted from the 9 papers of the ACCA. Upon graduation, you find a job and then take the final 5 papers of the ACCA to become a professional accountant. After I finished my SPM, I felt confused about my further study. Eduspiral, was so patient to answer all my questions and took us around for a campus tour. Research by Star newspaper has shown that graduates with good command of the English language tend to get a higher salary (25%) and faster promotion. A lot of students like the easy way out and choose colleges and universities that are cheap and lacking in quality and facilities thinking that as long as they just get the qualification, they are alright. They forget that if the quality of the university is low, the student’s quality will also be low when they graduate. You won’t have the necessary knowledge and skills to succeed in the working world. Not being able to speak English well, you won’t be able to become a manager in a Multi National Company. The management will not ask you to give a presentation if you cannot speak well and furthermore how are you going to be able to write a report? When you become an auditor, you will need to communicate with your client in English as well as your report. Presently, Malaysia has about 7.5 million Accountants. The country requires another 60,000 Accountants to fulfill Vision 2020. Ling posing with Acting Dean of School of Business Associate Professor Curtin University Sarawak Pauline Ho Poh Ling at the MICPA award ceremony. All Accountants have to abide by a strict code of ethics and maintain high professional standards. All practising accountants must register with the Malaysian Institute of Accountants (MIA). The Accountant Act, 1967 recognises an Accountant as one who is a member of MIA. MIA members can either be registered as Registered Accountants, RA(M) or Public Accountants, PA(M). After SPM, with 5 credits, students can go into the Foundation in Business for a year and then continue into the degree for 3 years. The other way is to go for the Diploma in Business or Diploma in Accounting for 2 years and then enter into the Degree in Year 2 to finish that in another 2 years. You will need at least 3 credits in your SPM to join the diploma. After your degree, you can find a job and then take the final papers of the ACCA part time. Public practice is governed by the Act, the Rules and the By-Laws (On Professional Ethics, Conduct and Practice) of the Malaysian Institute of Accountants. Under the Act, the person must be a member of the Institute, and is prohibited from public practice through a body corporate save where this is allowed by other statutes for limited areas of public practice, namely tax. A member, in most instances, is allowed to be engaged in public practice as a sole practitioner or in partnership only with another member(s) as the Act and By-Laws prohibits the sharing of profits with non-members. 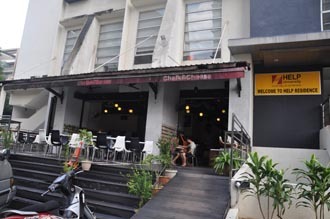 All firms in public practice are described as firms of chartered accountants (or licensed accountants, where applicable). Only members registered as chartered accountants with valid practising certificate can describe and hold themselves out as chartered accountants in public practice and are able to set up firms providing public practice services. Members in public practice may carry out public practice services such as accounting, audit, liquidation, tax and other related services. However, the practice of audit, liquidation and tax are licensed under other legislation. More accountants are needed for Malaysia to achieve Vision 2020 and be known as a high-income nation, said Malaysian Institute of Accountants (MIA) president Johan Idris. To-date, the statutory body has just under 30,000 registered members. This is in comparison to Singapore, which has a similar number of members registered for a population of roughly five million. “Australia, with a population of about 28 million, has about 100,000 members,” he said. He added that the quality of education was important because it equated to the future supply chain of accountants in Malaysia. Accounting firms are constantly on the lookout to hire competent accounting graduates. “Suitable candidates are hard to find. MIA can talk to the minister responsible for this, in terms of how we want to bring the accounting profession to the next level,” he said. Johan highlighted that more importance should be placed on improving the level of competency in the English language. “Accounting is about communicating financial statements and what you have done to the public at large. “If you aren’t able to communicate well and if your supply of graduates doesn’t have a strong command of the language, then you would not be as strong as what you ought to be,” he said. He added that while Bahasa Malaysia unified the country, English was still the language of commerce. Heriot-Watt University Malaysia’s Accounting and Business Finance programme is a specialist degree, particularly suited to those seeking entry into the accounting profession, financial services or financial management. The value of such studies is also recognised by professional accountancy bodies which offer examination exemptions. Students after SPM or O-Levels who are interested in this course can enter the Foundation in Business at Heriot-Watt University Malaysia before proceeding into the 3-year Accounting & Business Finance MA (Hons) or Business & Finance MA Degree Course. The degree programmes at Heriot-Watt are career-focused and relevant to the needs of business and industry, leading employers to actively seek out their graduates. Heriot-Watt University work in partnership with the professions to develop and accredit our degrees, ensuring career-relevant education and an environment that helps to foster the leaders of tomorrow. Heriot-Watt University is ranked 3rd in UK for Accounting and Finance in the 2016 Guardian University Guide. The programme has been accredited by the Institute of Chartered Accountants in England and Wales (ICAEW), Association of Chartered Certified Accountants (ACCA) and the Chartered Institute of Management Accountants (CIMA). The degree of Master of Arts (MA) is an undergraduate Honours degree, awarded by the ancient universities in Scotland and the UK including Aberdeen, Dundee, Edinburgh, Glasgow, St Andrews, Cambridge and Oxford. At other universities in Scotland and the UK, undergraduate degrees in the arts, liberal arts, humanities or social sciences are awarded as Bachelor of Arts (BA). Diploma or any other relevant qualification recognised by the Malaysian Government. Elective courses are also taken. EduSpiral met up with me many times to explain the course to me, took me to visit the campus, & even arranged the Head of Department to clear my doubts. Students after SPM or O-Levels can go for the Diploma in Accounting with 3 credits and then enter into Year 2 of the degree. Alternatively, SPM or O-Level students with at least 5 credits may go for the Foundation at Asia Pacific University and then enter into the UK Dual Award Accounting & Finance degree. Students after SPM, UEC or STPM can consider taking the BA (Hons) Accounting and Finance at Asia Pacific University (APU) where you will receive the degree from APU as well as Staffordshire University, UK. Furthermore, APU has a globalised student environment where Malaysian students can gain invaluable cultural insights as well as improve their spoken English. These make Asia Pacific University one of the best universities for you to choose to study the Accounting & Finance degree in Malaysia. which to launch a professional career in accountancy or to pursue further study. It is well established, and is designed to provide a thorough understanding of the principles and practice of accounting and related subjects. Students on the course have the flexibility of developing and building their specialist knowledge within an Accounting and Finance context whether in industry or public service. The award covers an in-depth knowledge of the core areas for those intending to move into the Accounting profession as well as those specialised areas such as tax, forensic and investment. The BA (Hons) Accounting and Finance at Asia Pacific University programme also includes an option for students to undergo an industrial internship programme which will equip them with practical employment skills. The accounting & finance degree at Asia Pacific University will receive 9 paper exemptions from ACCA. This level provides a detailed underpinning to the study of accounting in the modern IT world. Students will be equipped with mathematical, and communication skills. It also provides students with an understanding of the legal, business and social environment in which accounting operates and be conversant in the technical languages and practices of the accounting sector in market economy. EduSpiral helped give detailed information on the courses and helped me to make the right choice. I chatted with EduSpiral on Facebook for a year. 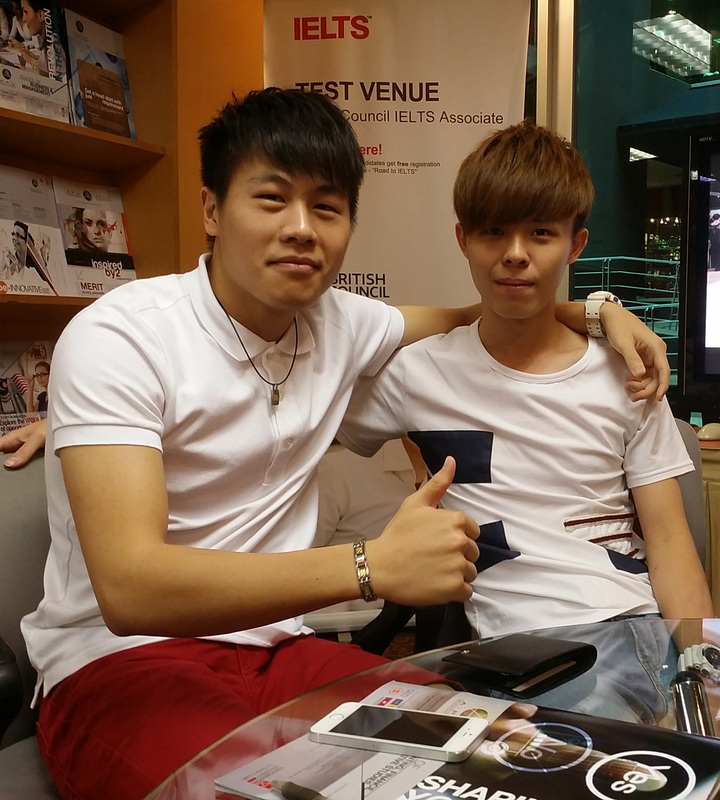 He helped me to choose the right course by providing in-depth information. Reporting, Taxation and corporate organisation are supplemented by modules to support the understanding of these activities. These include modules dealing with the Financial Sector, Corporate Governance and the Management of such Services, alongside are also considered the importance of Audit in any business organisation. Students are equipped with detail knowledge of application of accounts in different types of organisation, the statutory requirement of auditing and the legal environment surrounding the corporate entities, such as the responsibilities of shareholders and directors and the Auditors. Students are also introduced to the Business Research Methods module which exposes students on how to conduct research and write research proposals. Students will also use their co curricular activities (social, sport, cultural etc.) as evidence of the development of their personal skills, which are highly regarded by employers. They will collect this information in a portfolio and submit together with an essay showing how these experiences have helped to develop their employability skills such as social, interpersonal, planning, communications and many others. After the completion of Level 2 students will undertake a short Internship. This will prepare them for a smooth transition from the classroom to the world of Accounting and Finance. My friend introduced me to EduSpiral. He helped me to make the right choice. After the completion og Level 2 students will undertake a short Internship / Industrial Training. 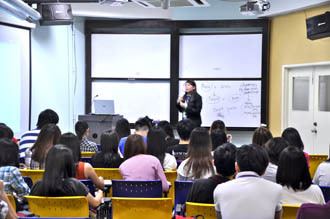 This will prepare them for a smooth transition from the classroom to the world of Accounting and Finance. perspective. This is because much of business today is global and money flows around the world very easily with today’s technology. Students will also explore Auditing and Corporate Finance to further equip themselves for the modern accounting and finance world. Tools which can be used in developing accounting and finance strategies are explored through the Financial Modelling module. The Accounting and Finance Project further develops the academic and practical aspects of students chosen area of study and reinforces their independent learning skills. A well-structured internship or industrial training programme in collaboration with industry is incorporated into the curriculum. The main objective of the internship programme is to further enhance your employability. In many cases the same company at which you had internship/industrial training will offer you employment as soon as you graduate. In all cases you will gain an invaluable insight into the world of business and management practices and be better equipped to position yourself for the career you seek. Upon completion of B.A (Hons) in Accounting & Finance at Asia Pacific University, students are eligible for exemptions for a maximum of 9 papers from the Association of Chartered Certified Accountants (ACCA), 6 papers exemptions (All the certificate-level papers and 1 operational-level paper) from the Chartered Institute of Management Accountants (CIMA), 8 papers from CPA Australia, 6 papers from Institute of Chartered Accountants in England and Wales (ICAEW), and 5 or 7 papers from Chartered Tax Institute of Malaysia (CTIM) based on the areas of specialisation. Diploma in Accounting are eligible for 3 fundamental modules exemption from ACCA. Students who articulate from the APU Diploma Programme will be granted exemptions based on the prevalent policy of the relevant professional bodies. The Dual Degree Programmes are offered through a unique collaborative partnership between Asia Pacific University and Staffordshire University, United Kingdom, through which Staffordshire accredits undergraduate programmes that are designed and delivered by APU. On completion of the programme, students will be awarded two undergraduate degree Certificates and Transcripts: one from APU and one from Staffordshire. The APU-Staffordshire Dual Degree Programmes are offered under an approved collaboration in accordance with the Code of Practice for the Assurance of Academic Quality and Standards in Higher Education as published by the United Kingdom Quality Assurance Agency’s (QAA). APU’s academic programmes are all approved by the Ministry of Higher Education of Malaysia and the qualifications are accredited by the Malaysian Qualifications Agency (MQA). Students after SPM or O-Levels with at least 5 credits including the relevant subjects may enter Taylor’s University Foundation in Business or Foundation in Arts for 1 year before continuing on to the Accounting & Finance degree. Pre-University graduates in Malaysia from programmes such as UEC, STPM, A-Levels, SAM, CPU, AUSMAT and others may enter directly into the 3-year Bachelor of Arts (Hons) in Accounting and Finance degree providing they meet the minimum entry requirements. Graduates from the Bachelor of Arts (Hons) in Accounting and Finance at Taylor’s University will receive exemptions from ACCA, CIMA, ICAEW and other professional bodies. education institution in Malaysia. Students wanting a top rated business degree can go for the Bachelor of Arts (Hons) in Accounting and Finance UK Dual Award degree at Taylor’s University. Students will receive a degree from Taylor’s University as well as the top ranked University of the West of England, UK. Officially upgraded to University in September 2010, Taylor’s is one of Malaysia’s top private universities. Over 70% of Taylors University’s graduates are employed within 2 months. In addition, the university has strong partnerships with 3,000+ career partners in Malaysia and globally. These are just some of the reasons that Taylor’s University is one of the best universities in Malaysia for you to study the degree in Accounting & Finance. The Bachelor of Arts (Hons) in Accounting and Finance degree programme at Taylor’s University is designed to equip students with an in depth understanding in all areas of accounting and finance, including financial accounting, assurance, taxation, corporate finance and financial management. The broad foundation and unique combination of skills prepare students for wide-array of careers in accounting and finance positions, including with the ‘Big Four’ accountancy firms, public listed companies and multinational corporations and government agencies. Graduates will be eligible to receive exemptions from recognised international professional bodies such as ACCA, CIMA, CPA Australia and ICAEW. Graduates will be given an opportunity to obtain Certificate in Finance, Accounting and Business (CFAB) from Institute of Chartered Accountants in England and Wales (ICAEW) upon successful completion of the programme. In-depth understanding in business, accounting and finance, via modules such as Corporate Reporting, Malaysian Taxation, Islamic Finance, Business Ethics & Values and Strategic Management. Understanding of the capital market through modules by Securities Industry Development Corporation (SIDC) and Bursa Malaysia Derivatives, such as Futures & Options, and Rules & Regulations of Futures & Options. Understanding of financial planning through module by Credit Counseling & Debt Management Agency (an agency under Bank Negara Malaysia), such as the Personal Financial Planning. To keep abreast with the latest industry advancements, the School implements MyAccounting Lab, a web-based tutorial and assessment software for accounting. More than accounting concepts, it teaches students how to learn by motivating them to persevere through difficult concepts and providing immediate feedback to measure their progress. The Module Adoption Programme (MAP) links theory to practice by inviting industry specialists such as Deloitte and PwC to give lectures, share experiences, case studies and projects to enhance students’ learning. Opportunity to embark on a fast-track employment programme (Exec Track Programme) with CIMA and KPMG. The EXEC Track programme is an intensive fast track programme to nurture capable business leaders through a strategic partnership between Taylor’s University, KPMG Malaysia and CIMA. Through this programme, a select cohort of students are offered an exclusive opportunity to gain exceptional business knowledge, priceless industry exposure as well as mentorship, training and development of skills to excel in their future careers. Open to all bachelor students at Taylor’s Business School, students undergo the CIMA Professional Qualification in Management Accounting while pursuing their degrees. In this way, our students are able to obtain the professional qualifications of becoming a highly sought-after Chartered Global Management Accountant upon graduation. Upon completion of their studies at TBS, graduates will have the opportunity to work at KPMG Malaysia. They will be required to work on real projects under the guidance of professionals, instilling in them valuable industry exposure and real-world knowledge. UK Dual Award from the University of the West of England (UWE), Bristol, U.K.
Taylor’s Business School (TBS) offers dual award degree programmes in collaboration with the Bristol Business School, University of the West of England (UWE), UK. A quality review committee, comprising academics from both institutions, is established for quality assurance and the moderation of the standards of the programmes, which includes curriculum and assessment. Students will receive certification from both Taylor’s University and UWE upon completion of their degrees at Taylor’s. Tracing its roots back to 1595, UWE represents a long and well-established tradition of first-class professional education and training. With over 30,000 students, UWE is a modern, growing university situated in Bristol, which is ranked UK no.1 most liveable city. UWE has been ranked no.6 for employability in the UK. 95% of graduates are employed or in further study six months after graduation. Bristol is the eighth largest city in the UK, the largest city in the south west and is home to many large businesses and employers including Airbus, AXA, BBC, Environment Agency, Hewlett Parkard, Lloyds TSB, Ministry of Defence and Rolls-Royce. Taylor’s Business School students have continuously clinched awards in numerous local and international competitions, demonstrating their ability to apply classroom theories into practice, and excel in real-world scenarios. These competitions provide opportunities for Taylor’s students to test their knowledge and skills in competitive settings and benchmark their solutions against their peers. They also provide an avenue for students to network with peers, experts and industry leaders. Taylor’s Business students have won the prestigious HSBC Young Entrepreneur Challenge 6 consecutive times as Champions and twice as Regional Champions. The Bachelor of Accounting (Hons) programme at KDU University College Utropolis Glenmarie is a collaboration with global professional accounting body, the Association of Chartered Certified Accountants (ACCA). The 3-year programme is the quickest and most sensible choice for students in Malaysia for a seamless journey towards earning an internationally recognised professional qualification. With 129 credits accredited by ACCA, students are able to complete the ACCA Fundamentals (nine papers) within the first two years of their studies. Students’ final year will be spent covering the syllabus of five professional ACCA papers and attending special revision classes to prepare for two essential ACCA Professional level exams. KDU University College is an ACCA Platinum Approved Learning Partner (ALP), which is the highest and most prestigious level of approval for universities and colleges globally. KDU Penang University College’s Bachelor of Accountancy (Hons) degree is a UK dual award programme. 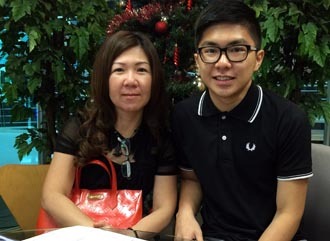 KDU Penang accounting graduates will receive two awards – one from KDU Penang University College and the other from the University of Lincoln which is a Top 50 ranked in the UK. Students after SPM or O-Levels in the northern region of Malaysia who are interested in pursuing a top accounting diploma can consider the 2-year diploma in accounting at KDU Penang University College. Upon completion of the diploma, graduates can continue on into Year 2 of the Bachelor of Accountancy (Hons) degree UK dual award from a top 50 UK university. provides a fast-track route for students to become a qualified accountant. Upon successful completion of the accounting degree programme, KDU Penang students will enjoy the maximum 9 exemptions from ACCA qualification. KDU Penang’s Bachelor of Accountancy (Hons) degree not only gives student accreditation from professional accounting bodies but also provides a truly exceptional opportunity for students to achieve TWO bachelor degree awards, an excellent value from two leading institutions of higher learning. Our flagship Dual Award Degrees offer students an outstanding educational experience in which students not only receive a KDU Penang University College degree but also a UK degree award from the University of Lincoln. Students also enjoy study abroad opportunities, an option available in their last year of studies at the University of Lincoln campus in the UK. curricula to meet international recognised accounting standards. Students will receive a solid grounding in the main accounting discipline and be exposed to knowledge of finance. 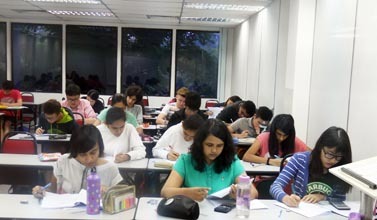 The unique and innovative design of the curricula enables KDU Penang students to develop their understanding and technical skills in core accounting and finance areas. To further ensure our graduates are employment ready, students are required to complete an internship as part of their programme of study. This degree provides access to multiple career paths for student in areas of accounting, the world of banking and finance, or manage their own enterprise. The top rate Bachelor of Accountancy (Hons) Dual Awards Degree programme at KDU Penang University College equips student with a broad base understanding of business, accounting and finance to enable them to Hit the Ground Running! Career prospects include: Chief Financial Officer, Corporate Treasurer, Financial Controller, Investment Banker, Internal and External Auditor, and Management Consultant. Corporate Governance and Social Responsibility. Since 1992, KDU University College Penang’s (KDU Penang) Business Department has grown by leaps and bounds with its quality programmes that are industry-relevant, coupled with its team of dedicated and highly qualified lecturers and industry-standard facilities. KDU University College Penang’s Business Department is known for its business savvy students who excel in the industry after graduation. With its long history and experience in offering the ideal environment in business education, KDU Penang continues to enjoy its premier status as a business education provider in the Northern region. KDU University College Penang is a rated 6-STAR College as per the 2015/2014 Malaysian Quality Evaluation System for Private Colleges, generally known as MyQUEST audit by the Ministry of Education. The KDU Penang’s Business Department has garnered much prestige when a partnership was formed with the top ranked University of Lincoln in the United Kingdom (UK) for its best-ranked University of Lincoln Bachelors programme in Business Management. 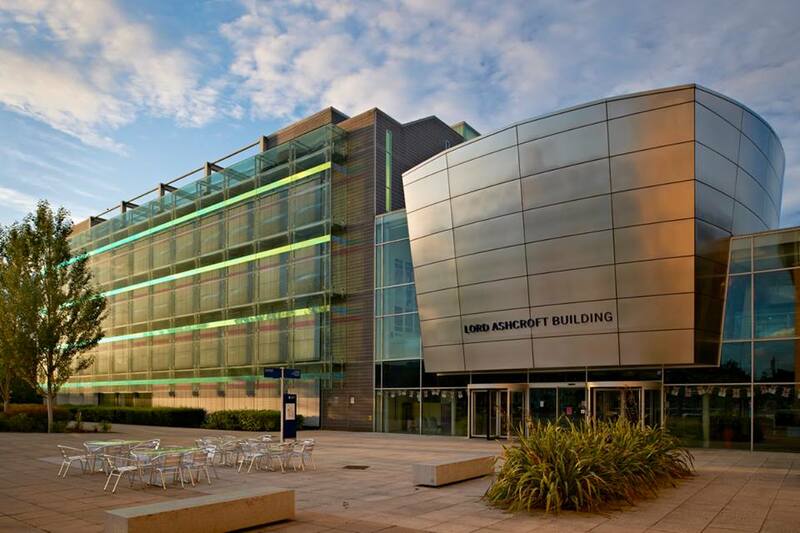 Highly popular in the UK, the University of Lincoln Business programme is equally sought after by both local and international students in Malaysia. Understanding the needs of the present professional business world, KDU Penang delivers good-quality, high-value education by offering this prestigious degree in the KDU Penang campus. In the 2017 League Table Ranking by the Complete University Guide, University of Lincoln is ranked at 49th overall. In the 2017 League Table Ranking for Business & Management Studies by the Complete University Guide, University of Lincoln is ranked 49th. In the 2017 League Table Ranking for Accounting & Finance by the Complete University Guide, University of Lincoln is ranked at 42. The University of Lincoln is placed in the top half of all UK institutions by the Guardian 2016 University Guide and the The Times and Sunday Times Good University Guide 2016. 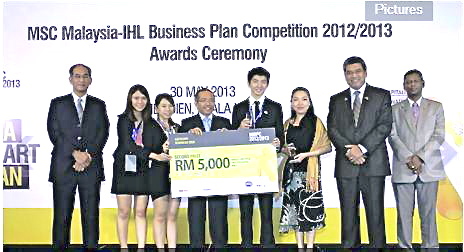 UCSI University students Chew Pei Xin (second from left), Jasmine Lum (third from let), Lim Wai Hing (fifth from left), and Faculty of Business & Information Science lecturer Ms. Eva Lim (sixth from left) posing for a group photo after bagging the first runner-up prize at the MSC Malaysia- IHL Business Plan Competition (MIBPC). contemporary knowledge and practical skills in assisting organisations to make the best strategic decisions. The effective combination of examinations, projects and assignments in the programme’s courses, as well as placements with key industry partners, fosters student independence and enhances their learning experience. UCSI University accounting graduates will gain entry into the professional level of ACCA and CPA Australia. This course will also equip graduates to pursue further professional qualifications with CFA, CFP, CIMA, ICAEW, MIA and RFP, among others. The assessment includes a combination of examinations, projects and assignments, and finally a requirement to complete a dissertation in Independent Project in the final year. Students will acquire up-to-date vocational skills that are relevant and competitive. This reflects the complex and challenging nature of the accounting, finance and business realms. Students after SPM or O-Levels may enter the Foundation in Business or Foundation in Science at MAHSA University for 1 year and then continue into the 3-year affordable accounting degree. Pre-University students with the relevant results in STPM, A-Levels, SAM, CPU, AUSMAT, etc. can enter directly into Year 1 of MAHSA University’s recognised and low cost Bachelor of Accounting degree. 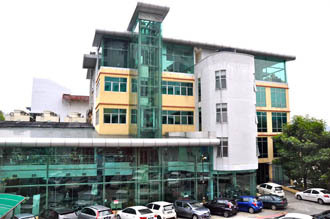 Students after SPM or O-Levels who desire an affordable accounting degree course in Malaysia that’s first rate can choose to study at top rank MAHSA University. The Bachelor of Accounting at MAHSA University is approved by the Malaysian Qualifications Agency and Ministry of Higher Education Malaysia. 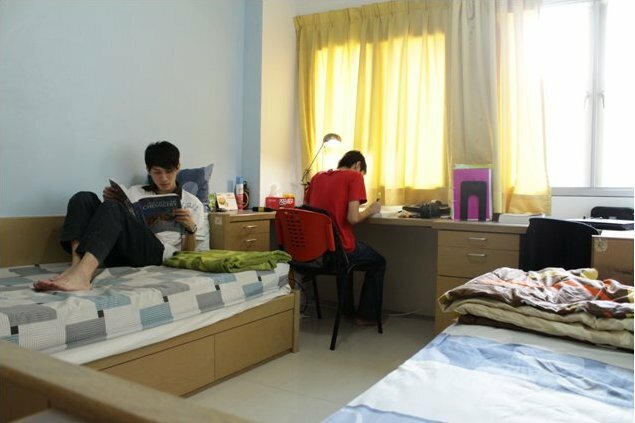 In addition, the cost of hostel accommodation at MAHSA University is very affordable compared to other private universities in Malaysia. Students will learn in an ultra modern, new purpose-built campus at Bandar Saujana Putra. Alternatively, students after SPM or O-Levels will need at least 3 credits in any subject to enter the cheaply available Diploma in Accounting at MAHSA University. Upon completion of the Diploma in Accounting, students can continue on to Year 2 of the Accounting degree. MAHSA University’s Bachelor of Accounting is a 3-year, highly specialised undergraduate degree programme that qualifies its graduates as accountants upon registration with the Malaysian Institute of Accountants. Graduates have a choice of going into direct practice either in the public or private sector, or go on to pursue professional accountant certifications such as the CPA (Certified Public Accountant), the ACCA (Association of Chartered Certified Accountants), and CIMA (Chartered Institute of Management Accountants), while meeting work requirements doing training at accounting firms. Accountants are some of the most highly esteemed professionals whose elite place in society has never been challenged. Because MAHSA University’s curriculum is designed with a team from employers, industry experts, and academia, students will learn theories combined with hands-on applications and practical skills. These skills of researching and critical thinking, reading and analysing financial statements, creating reports and presentations and interacting with stakeholders, will enable students to be employed right away. (GAAP), stakeholder values and ethics, issues in financial reporting, information technology for accountants, quantitative methods, corporate finance, organisational behaviour, business economics, business law, company and association law, taxation law and practices, financial statements and investment analysis, cost management, innovation and entrepreneurship, and advanced business communication. information and offer advice on how costs can be reduced and savings maximised; produce budgets for businesses and implement strategies for minimising costs; maintain accurate and timely records of company accounts; improve business efficiency in finances; compute statements of taxes owed, prepare tax returns and ensure that they are filed correctly and that payment is made on time; and ensure compliance with laws and regulations. Because an accountant’s work is no easy task, MAHSA’s Bachelor of Accounting with Honours, will ensure that its graduates are fully equipped with all necessary knowledge that is expected of a professional accountant. Founded in 2005, MAHSA University offers first rate programmes in various levels, from foundation and diploma to degree and postgraduate programmes in fields such as Business & Accounting, Engineering, as well as Healthcare programmes such as Medicine, Dentistry, Pharmacy, Physiotherapy, Nursing, Biomedical Sciences, Radiography as well as Environmental Health. The Bachelor in Accounting(Hons) was designed with industry experts and university advisors to provide quality education in the core areas of accounting and be highly employable both locally and overseas. Industry Linkages Students studying in Bachelor in Accounting (Hons) are given opportunities to interact and engage with lecturers and students from the faculties of Medical and Health Sciences, giving these students networking opportunities and insight into the healthcare industries, which is among the top driver for the global economy. Tuition fees for the Bachelor in Accounting (Hons) at MAHSA University are kept at an affordable level, to ensure there are little barriers to a good quality education. Flexible Enrolment Dates for the Accounting degree at MAHSA University. The Bachelor in Accounting (Hons) takes students on a rolling semester basis, allowing for greater flexibility. With lecturers and students from 56 different nationalities, the Bachelor in Accounting (Hons) student gain a rich appreciation of different cultures and values. Accredited byProfessional Bodies. The Accounting degree programme at MAHSA University is recognized and accredited by the Chartered Institute of Management Accountants UK, Certified Practicing Accountants Australia, Institute of Commercial and Industrial Accountants Malaysia, Chartered Tax Institute Malaysia. Accreditation from Association of Chartered Certified Accountants, Institute of Public Accountant and Institute of Financial Accountant are to be received by the year end of 2016. The BA (Hons) Accounting & Finance degree programme at First City University College provides students with technical abilities and knowledge specific to finance and accounting. Upon completion of the course, students will be able to demonstrate skills in preparing financial statements, performing financial analysis and delivering financial projections. The duration for the BA (Hons) Accounting & Finance degree at First City University College is 3 years (6 semesters) with intakes in January and September of each year. 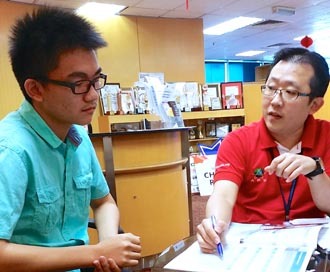 With 5 credits in SPM or O-Levels in the relevant subjects, you can go for the Foundation in Business Administration at First City University College. After the 1-year affordable foundation programme, you can continue on to the 3-year BA (Hons) Accounting & Finance degree programme at First City University College. The BA (Hons) Accounting & Finance degree programme is a dual award by First City UC & Anglia Ruskin University, UK. Students with 3 credits in SPM or O-Levels may go for the Diploma in Business Administration for 2 years and then enter into Year 2 of the Accounting & Finance degree programme at First City University College. First City University College provides a safe off-campus accommodation which is just across the road. Deserving students can apply for the scholarships as well. Interested students may apply online for First City University College here. First City University College’s Faculty of Arts and Social Sciences offers Foundation in Business Administration with pathways to pursue business related disciplines (Accounting & Finance, Business Management and Marketing) and social sciences programmes (Hospitality & Tourism Management and Mass Communication). Alternatively, students who already have a clear interest in the field of business and social sciences can opt to pursue specialised two-year diploma programmes in Business Administration, Hospitality & Tourism Management and Mass Communication. Upon graduation, students possess an advanced standing to continue to Year 2 of a related degree programme at First City UC. First City UC currently offers specially-crafted degree programmes to respond to the needs and demands of both the local and global industry which will enhance the employability of its graduates. Four of its degree programmes, namely BA (Hons) Business Management, BSc (Hons) Accounting & Finance, BA (Hons) Marketing and Master of Business Administration (MBA) are offered in collaboration with the institution’s longstanding United Kingdom partner university, the Anglia Ruskin University (ARU). the Times Higher Education’s (THE) World University Rankings 2016. The Lord Ashcroft International Business School (LAIBS) at ARU is ranked among the top 50 Business Schools in Accounting and Finance in the UK, according to the 2017 UK Guardian League Table report. Students who pursue these programmes will receive two degree certificates; one from First City UC and one from ARU. This dual award mode will provide them with recognition and validation from two higher education providers, giving them the edge which will set them apart from their peers. Eligible for exemptions from major accounting bodies’ examinations such as the Association of Chartered Certified Accountants (ACCA) and Chartered Institute of Management Accountants (CIMA). campuses, one in the centre of Cambridge, and one in Chelmsford. Both campuses have seen multi-million pound investment over the last few years and offer students state-of-the-art learning and teaching facilities. 1858 John Ruskin opened a School of Art in Cambridge, laying the foundation for the institution which grew to become Anglia Ruskin University. 1989 The Essex Institute of Higher Education and Cambridgeshire College of Arts & Technology came together to form a polytechnic. 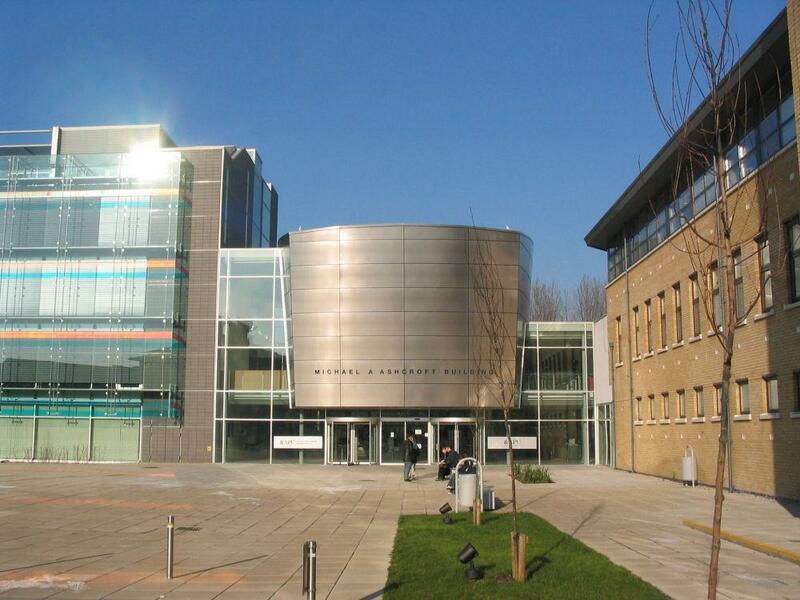 1992 Became a university and changed its name from Anglia Polytechnic University (APU) to Anglia Ruskin in 2005. Anglia Ruskin University is in the top 20% in the country for student satisfaction on business studies (NSS 2014). Average graduate salary is £29,693 – well above the UK average (DLHE 2012–13). ARU lecturers are rated among the most enthusiastic and interesting in the country, and our courses among the most intellectually stimulating (NSS 2014). better place to think about starting your own business? ARU students use the Bloomberg Financial Markets Lab – Bloomberg is the world’s leading platform for global business and finance news, data, analytical tools and research – to trade and invest using virtual money. ARU students take part in a number of competitions each year, including the Universities Business Challenge – we’ve reached the final several times and won it twice. * All Malaysian and International students are required to take 5 MPU compulsory subjects. 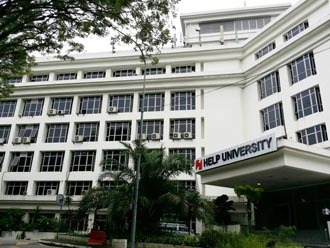 Students after SPM & O-Levels can enter the Foundation in Arts Programme at HELP University before proceeding to the top rated accounting degree programme. 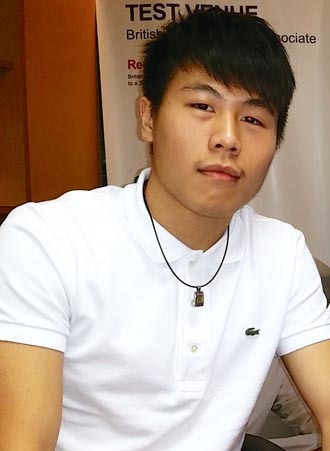 Another pathway is taking the Diploma in Accounting at HELP University and then entering into Year 2 of the Bachelor of Business (Hons) Accounting at HELP University also. 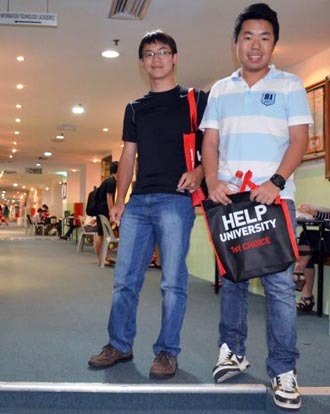 UEC, A-Levels & STPM students can enter directly into the accounting degree programme at HELP University with the relevant results. The University also offers the Bachelor of Economics (Hons), Bachelor of Management (Hons), Bachelor of Tourism Management and Bachelor of Business Psychology and Diploma in Business program. 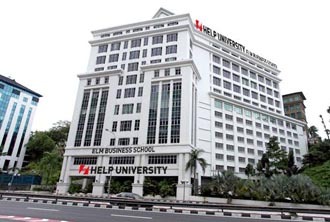 Students interested in the Business programmes at HELP University can choose to study at HELP University Subang 2 new campus or at HELP University Damansara Heights city campus. uses real-life case studies. 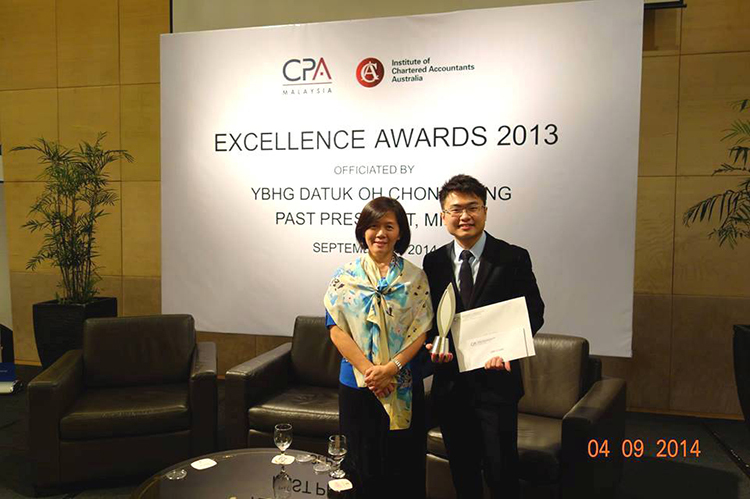 HELP University’s accounting program is the first from a university in Malaysia to be accredited by CPA, Australia. Furthermore, the accounting program is granted maximum exemptions by professional bodies such as ACCA, ICAEW and MAICSA. HELP University’s business students can transfer credits to many top universities in Australia, UK and New Zealand, including the University of Queensland, University of Melbourne, Australian National University, University of New South Wales, Leeds University and many others. In addition, HELP University’s business program is one of the very few business programs in the world where students are able to transfer their credits into the final year of the University of Queensland Business/Commerce program. HELP University has various internship and graduate training programs with many leading multinational companies including General Electric, KPMG, PWC, Ernst & Young, Deloitte and BDO Binder. Hence HELP University’s graduates are preferred employees for top companies in Malaysia. HELP is a popular choice for students wishing to pursue business, tourism and hospitality studies not only because of its academic excellence and teaching quality. They also provide students a wide range of services and extracurricular activities aimed at building character, infusing leadership qualities and positive values, and taking care of their physical, mental and emotional health. 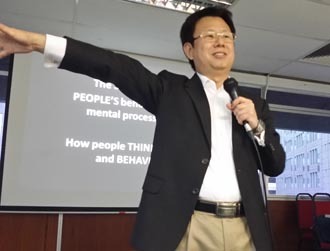 The best lecturers teach at HELP University. information, which assists in the management of resources in business entities and government organisations. HELP University’s Bachelor of Business (Accounting) (Hons) program prepares students to become professional accountants. It covers theoretical and conceptual accounting matters combined with the basic accounting skills needed to make graduates employable. HELP University’s Accounting curriculum has been designed to satisfy the requirements of professional accounting bodies like CPA Australia, ACCA, ICAEW, MICPA, CIMA, MIA and many others where maximum exemptions can be obtained. At the same time, the curriculum provides students with a broad-based education, thus ensuring success in the highly competitive work environment. Furthermore, top accounting professionals from the Big 5 accounting firms are invited to participate in teaching as adjunct staff atHELP University. They will bring real world perspectives into the classroom setting. Students who have completed the HELP University Bachelor of Business (Accounting) (Hons) degree program are eligible to apply to become associate members of CPA Australia where they shall do 6 CPA subjects. Upon completion of the CPA program and with 3-4 years of relevant working experience, they can apply for membership of the Malaysian Institute of Accountants (MIA). The Malaysian Institute of Chartered Secretaries and Administrators (MAICSA) grants maximum exemptions to graduates of the HELP University Bachelor of Business (Accounting) (Hons) degree program and Bachelor of Business (Finance) (Hons) degree program. Graduates of these 2 programs are only required to complete the final stage of the MAICSA International Qualifying Scheme (IQS) program (by examination) which comprises of 4 subjects. Graduates of the other HELP University Bachelor of Business in Marketing, Entrepreneurship, Human Resource Management and International Business (Hons) degree program are required to complete the MAICSA International Qualifying Scheme (IQS) 1 & 2 which comprises of 8 subjects. Students who have completed the HELP University Bachelor of Business (Accounting) (Hons) degree program are eligible for 9 subject exemptions out of 14 subjects from ACCA. The Institute of Chartered Accountants in England and Wales (ICAEW) Students who have completed the HELP University Bachelor of Business (Accounting) (Hons) degree program are eligible for 8 subject exemptions out of 15 subjects from ICAEW. Students who have completed the HELP University Bachelor of Business (Accounting) (Hons) degree program are eligible to apply to sit for the MIA Qualifying Examination (QE) which consists of 4 papers. Upon completion of 4 papers and with 3-4 years’ relevant working experience, students can apply for membership of the MIA. The MIA’s QE is the third and final route to gain admission into the MIA, after which they are officially recognised as Chartered Accountants. EduSpiral Consultant Services represents the best colleges and universities in Malaysia offering a wide range of choices for students to choose from. These colleges and universities offer value for money in the quality of education and excellent facilities that you get. These universities and colleges are chosen by EduSpiral because they represent the best in their fields in Malaysia and affordable.